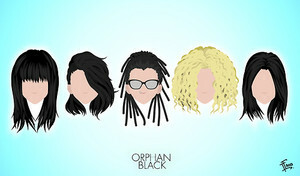 orphan black অনুরাগী art. . Wallpaper and background images in the অর্ফ্যান ব্ল্যাক club tagged: photo orphan black sarah manning rachel duncan helena cosima alison felix paul kira tatiana maslany.